Messy? You bet they are. "You gotta get here early. 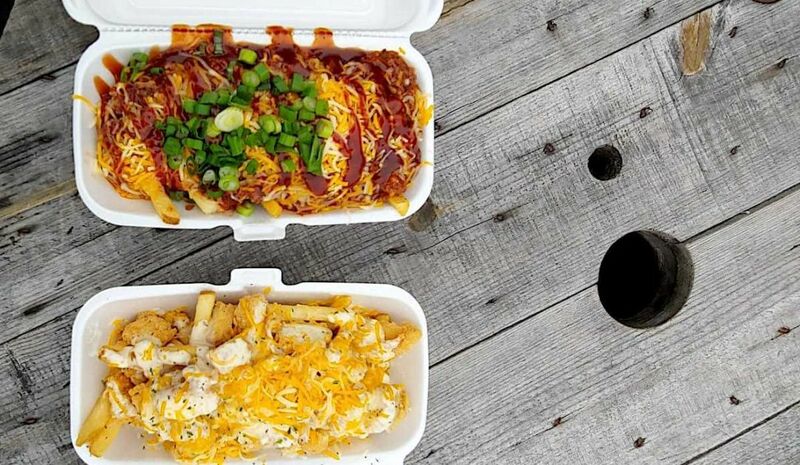 The kids are back in school, and they walk over here," said the helpful worker behind the window at the French Fry House, this lonesome shack on Ennis Street near the University of Houston, which has been serving loaded fries since 2017. 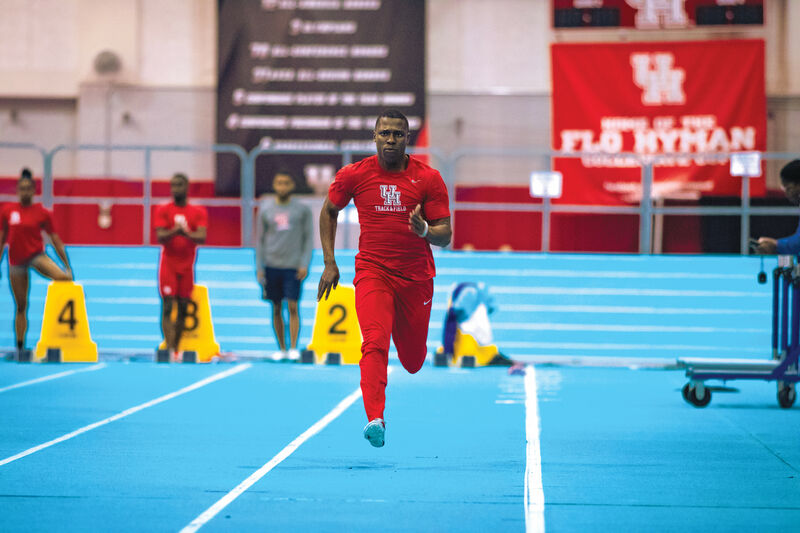 The worker was talking about the UH kids who had returned from winter break and constantly needed carbs and protein—often in one forkful—to fend off the dizzy feeling one gets when studying for an engineering midterm. And why did I need to get there early? The Bayou Fries, which are covered in a homemade shrimp-and-crawfish étoufée. They'll go quickly when available (they weren't available when I visited; I will return), so get there when it opens. 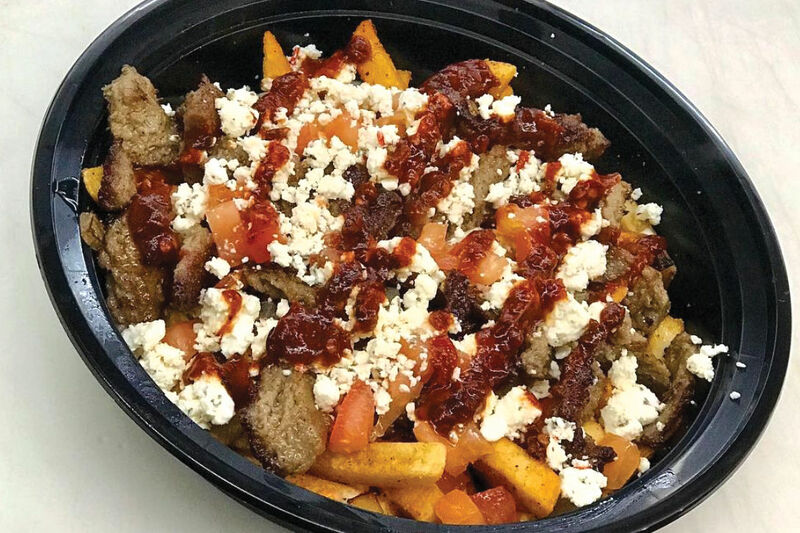 If you scroll the Yelp photos of the French Fry House's dishes, you're either likely to go into shock or have an uncontrollable drooling fit. It really depends on how you feel about tightly packed fries slathered in sauces and topped with proteins and other chopped goodies. My childhood included semi-regular meetings with Cheez Whiz-covered frozen-to-fried potatoes, so I was cool with it. The fries are heavy and come in Styrofoam containers, and sauce threatens to bleed out of the package upon opening. 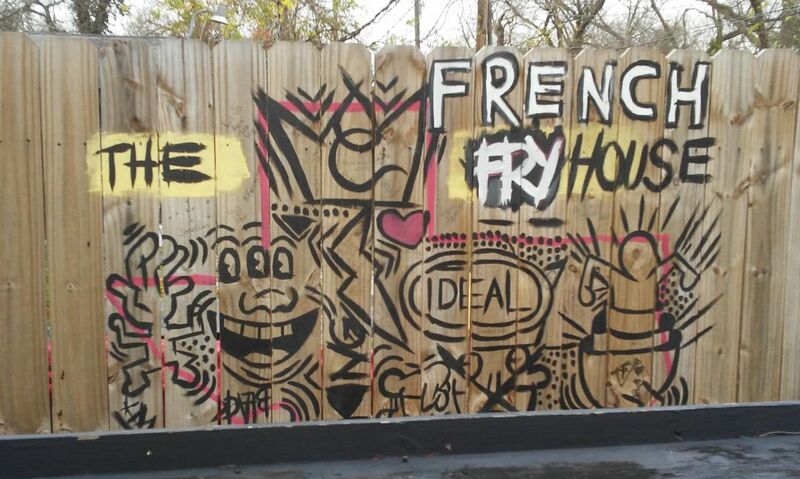 The Instagram-ready fence at The French Fry House. I got the Big Tex, which includes Burns Original BBQ chopped brisket and sausage, plus a homemade barbecue sauce and shredded cheese; and the Alfredo Fries, combining grilled chicken, alfredo sauce, mounds of cheese, and parsley. Also on offer are Philly Fries (cheesesteak), the HISD Fries (no-bean chili), Buffalo Chicken Fries (self-explanatory), and the Plain Jane. There's also a weekly special. 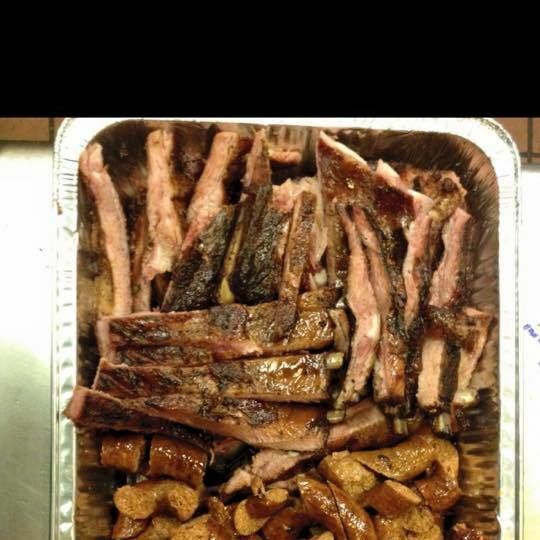 Large plates run $10-$13 and small plates are $6-$8.50. The Plain Jane fries are cheaper ($5, $3), and you can also order deep-fried boudin egg rolls ($6) and soda or water ($1). The Big Tex had that superior Burns brisket and sausage, and I liked the slightly sweet barbecue sauce, which played well against the smoky meat. It's a hefty and hearty meal. I liked the Alfredo Fries, too, but I just wasn't as hot about them. They were creamy, of course, but it could've used something to break it up, preferably acid. Maybe even a squirt of lemon or diced cherry tomatoes. No doubt I'll come back. 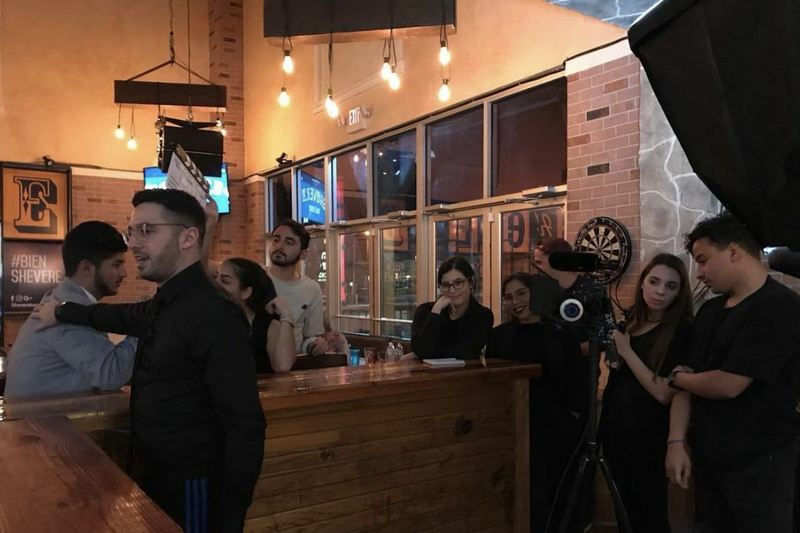 I need to try the Bayou Fries, and I'd like to enjoy them when it's warmer and the patio buzzes with talk about finals prep and whatever the heck Drake is up to. You know, college talk.